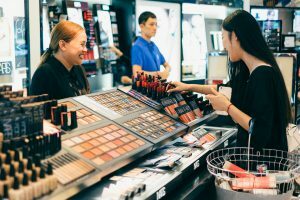 Thailand’s economy has recovered strongly in the first quarter of 2018 supported by healthy growths in the export and tourism sector. Exports in the first three months have jumped up 11.3 percent year on year, representing a seven-year high and it remains a driving force of the economy this year, said Pornpen Sodsrichai, director of macro economy department of Bank of Thailand. 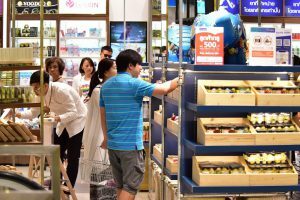 The merchandise exports reached 22.363 billion U.S. dollars for March 2018, said Pornpen, adding that despite a high 2017 base, the value of March exports was driven by steady economic growth seen in Thailand’s trade partners. Overall economic activity in the first quarter of 2018 continued to expand from the previous quarter, driven mainly by the solid growth momentum of merchandise exports and tourism sector. Private consumption continued to improve from spending in all categories, consistent with the expansion of manufacturing production in both domestic and export-related. The value of merchandise exports continued to expand with a growth of 6.3 percent compared to the same period last year. (3) increase in exports from industries which recently expanded their production capacity contributed to the increase in exports of hard disk drives (HDD). The number of foreign tourist arrivals registered a 16.3 percent annual growth and continued to expand for almost all nationalities, especially Chinese tourists, consistent with the opening of new airline routes from China’s secondary cities to Thailand. Private consumption indicators expanded from the same period last year in almost all categories, except semi-durable goods which slightly contracted after having accelerated growth in earlier periods. Public spending, excluding transfers, contracted from the same period last year due to decline in capital spending as a result of lower disbursement of the Department of Highways and high base effect from strong disbursement last year. However, current spending expanded mainly from an increase in civil servants’ compensation. Thailand’s central bank governor Veerathai Santiprabhob says the country’s economy has recovered strongly in the first quarter, but warned that low-income earners and farmers are still burdened with heavy household debts and need to closely monitor. According to the latest survey by the University of the Thai Chamber of Commerce (UTCC) based on 1,194 respondents whose income is lower than 15,000 baht per month, 96% of them were in debt. The survey estimated average debt per household at 137,988 baht, the highest level in 10 years, up by almost 5% from 2017.